Exposure Area of 12" x 20"
The BPL 1220 is an easy to use fold-up Table-Top Fluorescent Exposure Unit for low cost sharp, even Photopolymer plates. The unit comes with a digital (0-99) timer with red LED readout which automatically resets at the end of each exposure. The MPG helps to improve the quality of your printing. It corrects height of blanket and plate to help prevent dot gain, reduce wear on blanket as well as plate image areas and eliminate strain on cylinders, gears, bearings and side plates caused by over-packing. 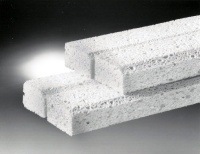 Made of alloy steel construction for long life and precision readings. Available with either a digital dial indicator which reads in both metric or standard or the standard dial indicator as shown. 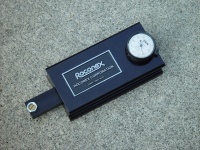 The Precision Pack is a hand held lightweight gauge that works on cylinders of any alloy. Adjustable plunger enables use on cylinders of 6" diameter and up. Unique low-profile lever action makes it easy to take readings in tight areas and still read the dial indicator in the open blanket area. Wide twin rail base for easy squaring along the press cylinder's axis. Available in 25" or 33" sizes. Sold per case of 12.